Ok Seriously, Where’s The Hidden Camera? Am I Being Punked?! 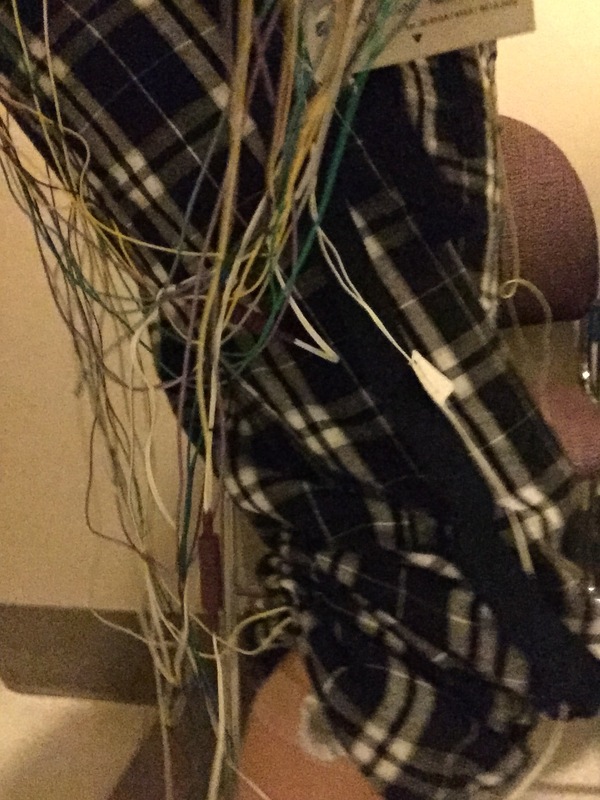 I get to the sleep study last night and we quickly review my symptoms as to why I am there. I usually go to bed around 10pm and the nurse said it takes about 30 minutes to get hooked up so at 9:20pm she comes in and starts the process. I’ve got wires everywhere!! 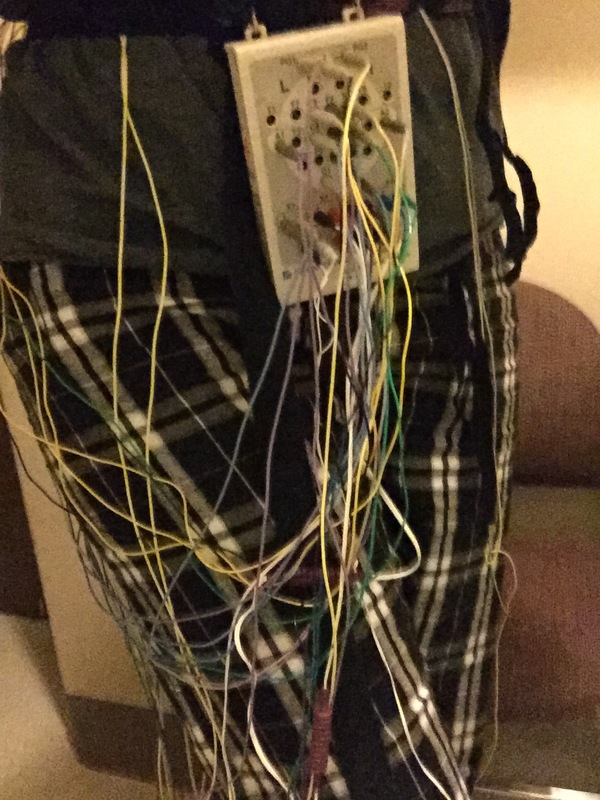 On my legs to test for restless leg syndrome, belts around my chest and stomach to determine my breathing pattern or something, wires on my face, in my hair, on my chest, a wire taped to my throat, a tube taped in my nose to monitor my breathing and then I also have the oxygen clip taped to my finger. Yeah, let’s see how well I sleep! But then there was a problem and something wasn’t registering. Now two nurses are working on me and they are swapping wires, reapplying things to my head, but nothing. They switched out cords, restarted the computer, nothing. They made phone calls to get other suggestions and switched me to a different room, still nothing. They were very apologetic and it was apparent how frustrated they were that this was happening and continued to apologize as they constantly had been scraping my head to find new areas to reapply the electro pads. One nurse stated she has been doing this for 12 years and has never had this big of an issue. So, I asked if it could be my head. Haha! 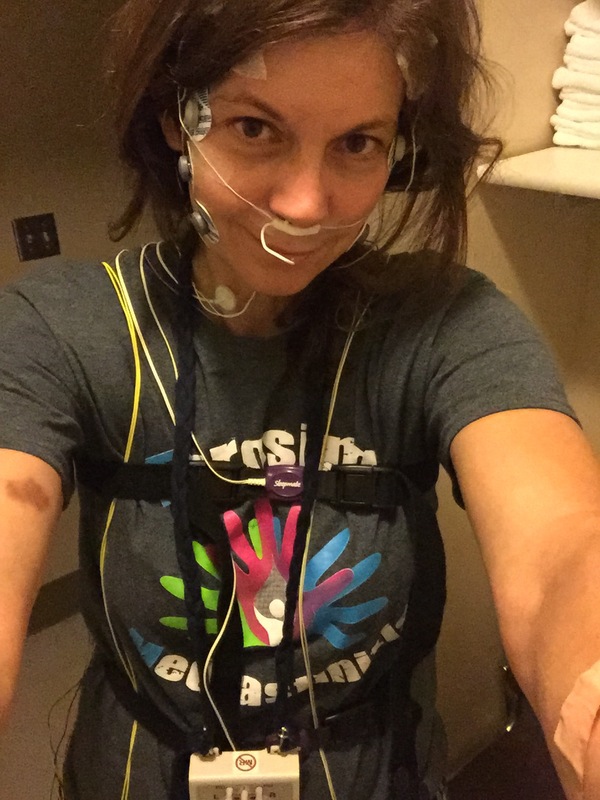 She kind of laughed and says “at this point it makes you wonder.” We began talking about my disease and the symptoms as to what led me to come in for a sleep study. The nurse was very interested (as usual) and goes on to say they can’t get, basically a reading on my head. She said the number they need is usually around 5 but mine was in the 60s. She said some people have higher numbers but they can usually still get the signal so to speak. She explained that with me everything else is good to go…my legs, my face and my chest, but my head…just isn’t cooperating. Go figure! I felt like a walking bomb! Sooo, after almost three hours of trying….no success and all those wires and all that tape was taken off only for me to be sent home at 12:15am!!! The nurses had also called their boss during this whole ordeal but the suggestions he had made didn’t work either so he is supposed to be talking to my doctor to see what needs to be done, and if and when I will come in to try the sleep study again. I’m sure it was just bad equipment or something not right, a fluke, but this stuff sure does happen to me…a lot!! On another note, Leah gets up this morning and asks if the doctor let me come home and I said yes. She sits there a minute with her “thinking” look then says “did you stay at the hospital or jail”? Wait, what?! Where on earth did she get jail?!! I must have misheard her! I made her repeat the question to make sure I heard her right and yep, I will definitely be talking to Tim when he gets home from chores! !